Linda was born in 1953 in Nova Scotia and moved to Fort McMurray when she was 12 years old. She moved to Edmonton 10 years ago and continues to live independently in an apartment in this city. Linda is very proud of her art. This is evident through the amount of time she spends completing one piece of work. Her process often involves repetition, whether through small swirling lines or a pointillist style. She has looked at the works of Seurat and Van Gogh, and knows that great works take time and commitment. Linda particularly enjoys drawing animals and has a keen sense of colour. 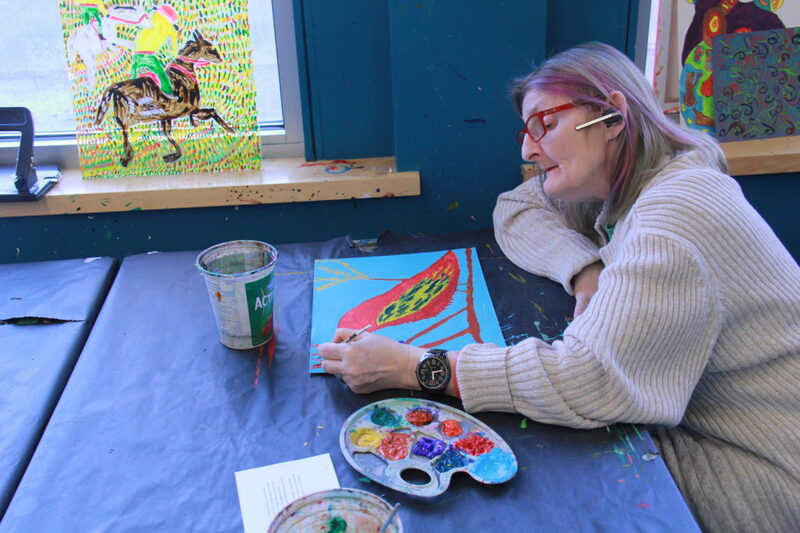 Even though her favorite medium has changed from felt pens to acrylic inks and paint, Linda still retains her love for bright and vibrant colours.